Why not add a little Halloween flair to your walkway lighting this year. 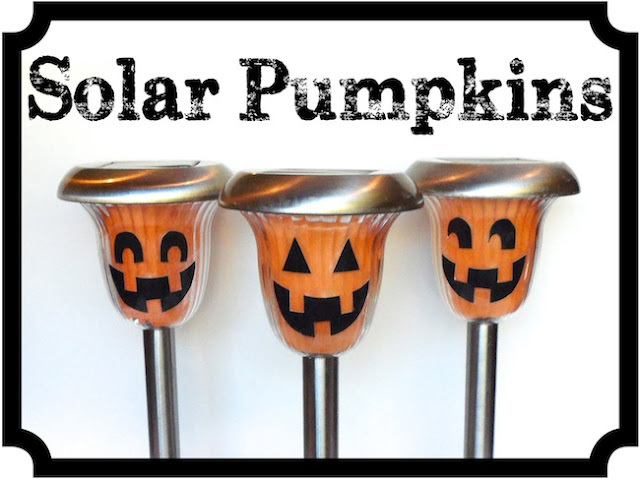 Kelly has a great tutorial for turning your outdoor solar lights into fun Halloween solar pumpkin lights. And when the holidays are over, you can easily transform them back! These solar jack-o-lanterns are so fun I am considering buying some inexpensive solar lights just for Halloween. You can check out how to transform your lights into solar pumpkin lights over at Smart School House, Inc. This is great!!! I think even I could do this one!! !